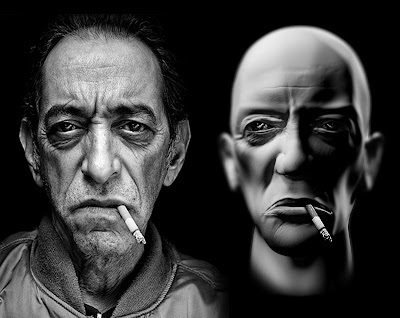 I've been trying to learn Z brush, to help add more detail to some of my model.I found this portrait on Flickr and i have been trying to remodel. The next step is to try and animate the face whilst retaining all the detail of the wrinkles, and skin. I haven't applied any texture yet Everything is in 3D.